“A BOOK ABOUT A FILM” available now! 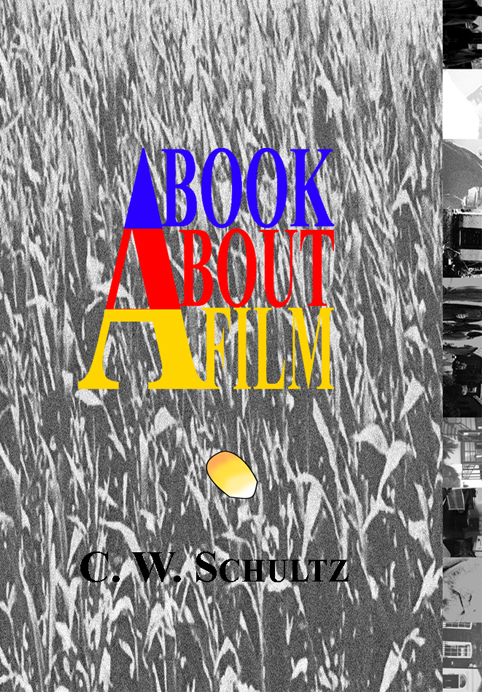 C. W. Schultz’s fourth novel A Book About a Film is officially available for purchase today! It’s an academic study on the cult classic The Cornfield People that not only acts as a novelization of the movie but also as a thriller in its own right when the book begins to dig into the film’s hidden messages, reoccurring themes and haunting obscurity. The book analyzes a chilling movie which follows a secret society that knows the meaning of life and what comes after death… and the cult will stop at nothing to keep their treasured knowledge hidden from outsiders. You can watch the teaser trailer here! Amazon is carrying the Kindle ($4.95) and paperback ($13.40) editions; while hardcover prints are being carried by Third Place Books and Waucoma Bookstore—you can also request hardcover copies here. A Book About a Film has been receiving lots of praise. Nick Rossi of Reading Other People said “Schultz is destined for greatness” in his review; while Joanie Chevalier, author of Deadly Dating Games: Murder. Blackmail. Romance., gave A Book About a Film ★★★★★ (out of five) in her review. Ajoobacats Blog commended the book for being original and unusual, saying “this is one hell of a read for film enthusiasts” in the review. An overall rave review came from RedPillows, who said the book was ultimately intriguing and well-written. Schultz’s narrative choices was said to be “complex, gripping, and ultimately hard to put down” in a review from the Midwest Book Review. Of the copious analysis, disorienting narrative and unique layout, Kirkus’s response was that the subject’s “conceit is rather ingenious”. Go grab a couple paperback novels off your bookshelf (preferably horror or thriller) and turn them over so you can see the back covers. 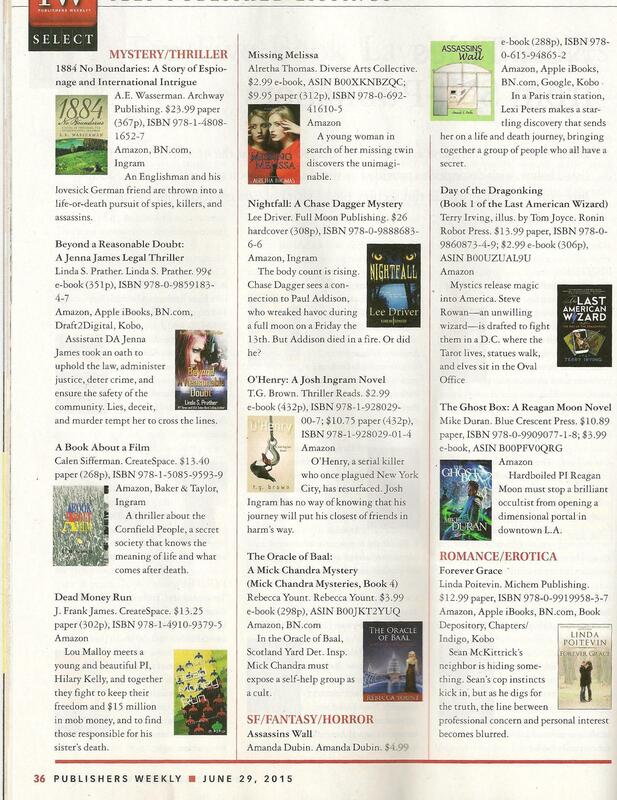 Chances are, at least one of them was reviewed by the Midwest Book Review. Today, they just released a review of A Book About a Film, which is less than four days away from release! A Book About a Film actually isn’t exactly a book about a film – not if you’re expecting a nonfiction exploration of how a production is created, and not if you’re looking for any insights on independent filmmaking. It’s actually a true-life thriller that revolves around a film’s production, though, and it novelizes the lost/incomplete/controversial film ‘The Cornfield People’ while considering its gripping story of life, death, and everything that lies between. We’re not talking a big film, here: few people have had access to or watched the movie – which means the majority of readers of A Book About a Film will find themselves on equal footing, new to the subject under discussion. While many maintain the film actually doesn’t exist, its status as a cult classic implies otherwise. The story that revolves around this film’s rumors and mystery is vivid, taking readers away from the reality of The Cornfield People’s possibilities and into a world of secret societies, ulterior forces, tangled webs, and complex twists that at times adds a wry touch of irony to the discussion. No light pursuit, the read includes: acronyms, cinematic terminology, quasi-terrorism, debates about life and death, and a narrative surrounding the evolution of an urban legend. Money, an intriguing story, the Periodic Table of Elements, production analysis and director choices: all these are wound into a saga that is heavily footnoted and researched. There’s nothing simple about ‘The Cornfield People’ (even some of the actors have no clue of its intentions) – and nothing easy about reading through its evolution in A Book About a Film, but readers interested in cult classic film mysteries in general and this hidden gem in particular will find C. W. Schultz’s narrative to be complex, gripping, and ultimately hard to put down – even if you’ve never seen or heard about ‘The Cornfield People’ before. TowerBabel, the place to go to “fall in love with books”, will include Schultz’s debut novel Yeval as a Featured Book later this month. Georgina Parfitt has given the book a ★★★★ (out of five) review. If you enjoy browsing for books, reading reviews, or posting your own opinions, please make sure to check out TowerBabel. There’s something very alive and vivid about this set of messed-up characters. Randy as a narrator is, necessarily, almost completely unreliable, as he is bullied and tormented by a figure in his mind called Yeval, who Randy describes as being created by his own guilt over the death of his mother. Randy’s voice jerks and despairs as his reality becomes less and less stable over the course of the novel. This lends a suspenseful and unpredictable mood to it. The angry eruptions of the narrative voice make the reading experience feel dangerous but quick-moving. At times I felt I needed a less chaotic way through, from one event to the next, but I appreciated the author’s commitment to the scattered, often terrifying, movement of his main character’s psyche. Some of this story is deeply unsettling, and that’s a necessary evil of its subject matter, but I was impressed with how tender and warm the narrative was able to get between the angrier episodes. Randy’s brother, the love of his life Caroline, and his late mother are all at various times conjured with extreme affection. I think this aspect of the novel is almost the most important; it’s the humanity and sympathy of these sections that propels the reader on, and inspires her to seek to understand even the most obscene sections of Randy’s interior monologue. The writing is best when it doesn’t over explain itself. Moments of profound emotional resonance are possible when the narrator speaks simply and honestly, and when repetition is avoided. ‘“I’m with somebody,” I respond. It feels like a confession,’ Randy tells us when he is reunited with his beloved ex-girlfriend Caroline. Lines like this give us a simple insight into the moment-by-moment emotional journey of this character that is helpful when trying to negotiate his unpredictable actions. The structure of the novel overall is well-paced, and leads the reader deeper and deeper into the internal danger of Randy’s mind. Just as the mystery of Slayer and Yeval seems to be unwinding, it obscures and convolutes again, and we are left with an indistinct and upsetting ending, but one that feels fitting for this story. In short, not a comfortable read, but interesting, and highly thought-provoking, with moments of really moving writing.